Buying a new home is a major investment, and the last thing you would want to happen is to find out that the house you’re buying isn’t worth what you paid after it’s too late. One of the best ways to know the actual condition of your soon-to-be new home is to get a professional home inspection. However, not all home inspections are the same and you have to play a significant role in the process to ensure it all goes well. We want to help you get the most out of your home inspection, so here are 12 amazing tips we’ve compiled just for you. 1 – Attend the home inspection. Being present during the actual home inspection will allow you to become more familiar with the house you’re buying. This is also the perfect time to ask any questions that you may have. It’s important that you don’t miss out. 2 – Hire an inspector that you can trust. It’s important that you find a home inspector that can get the job done professionally. When you hire a trustworthy and professional inspector, you can have peace of mind that the job will be done the way it should be. You may receive recommendations for suggested inspectors from your agent or even from friends and family. However, it is important that you do your own research and hire the best inspector. Shop around and compare quotes. But keep in mind that the cheapest isn’t always the best. The reason you hire a professional home inspector is to get to know the actual condition of the house that you’re planning to buy, and to make sure it’s worth what the seller is asking. A good inspector is always willing to answer your questions and give you that valuable feedback you need. So, even if it’s a tough question, be confident enough to ask it. Asking questions ensures that you have enough knowledge to make an informed decision and avoid regrets. Your home inspector is going to take photos during the inspection. But you can also bring your own camera and take pictures of your own. Inspectors are only human, and they could miss an important detail. Having your own set of photos can sometimes help if you need to renegotiate the terms of the contract after the inspection. 5 – Conduct your own pre-inspection. Test the light switches and electrical outlets. Check the electrical panel and breakers for any visible damage or exposed wiring, and don’t forget to test the heating and air system. On the exterior, look for any evidence of drainage issues or flooding, and keep an eye out for peeling paint or damaged siding. Performing these simple pre-inspection activities can really make a difference when it comes to the actual inspection by giving you some direction when it comes to any questions you may have during the inspection. 6 – Inspect the roof. Know when the roof was last replaced. 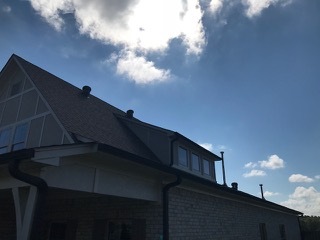 Ensure that your inspector climbs up to visually check the condition of the roof, noting any signs of wear or past damage from extreme weather conditions. Check inside the attic for signs of water damage, humidity issues, and rot. 7 – Look for cosmetic cover-ups. A fresh coat of paint and new flooring can say a lot about how well the previous owners took care of the property. However, you need to pay close attention and beware of any signs of “cosmetic cover-ups” or suspicious fixes. Some homeowners attempt to hide potential issues with a fresh coat of paint. If you notice that only certain areas have been repaired or replaced, prompt your inspector to take a closer look. 8 – Test GFCI outlets. The installation of these outlets are part of the building code in specific rooms where moisture is present such as the kitchen, bathroom, and laundry room. Your inspector should be knowledgeable about this, but it’s still important that you have at least some knowledge concerning faulty GFCI outlets, as it could mean bigger electrical issues. 9 – Visit the attic. The attic plays an important role in protecting the home. So it’s important that your inspector gets into the attic to check for any issues that may be present such as improper venting of bathroom fans into the attic. If this issue is identified, it’s likely that the attic is prone to mold, rot, or worse problems. Ask your inspector to check for attic leaks or the collection of moisture, as this could imply issues with insulation, moisture, or mold. 10 – Test the plumbing. Check that the bathtubs and shower pans are tested for leaks. Try running the water in sinks and lavatories to ensure they drain properly and are not leaking. A slow drain could be an indicator of a much more serious plumbing issue. Don’t forget to ask your inspector to check the water main and shut off valves for leaks and proper functioning. 11 – Check the furnace and water heater. Aside from checking if the furnace and water heater are working properly, you should also find out when both of these were last serviced or replaced. Replacing this equipment is quite pricey, so you should know if there’s a need to replace any of them soon. 12 – Check the basement. The property’s basement can give you a lot of clues about the actual condition of the house and its foundation. Cracks, signs of past repairs and water issues are some things you should be on the lookout for. A professional inspector would be able to tell you if further inspection from a structural engineer would be necessary depending upon the findings. As mentioned above, a home inspection can make or break the sale so be sure to trust only a reliable, experienced and trustworthy home inspector. Stay tuned to our blog for more helpful tips on home maintenance.